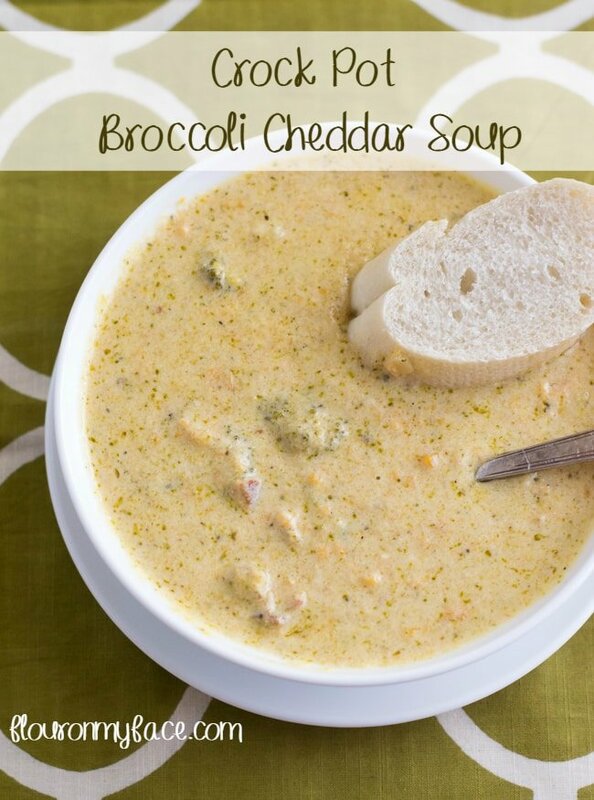 You are going to love my Crock Pot Broccoli Cheddar Soup recipe if you love Panera Bread Broccoli Cheddar soup. Cooler weather means more crock pot soup recipes are on the menu more often. My daughter loves Panera Bread’s Broccoli Cheddar Soup and she has been pestering me to make it at home for her. 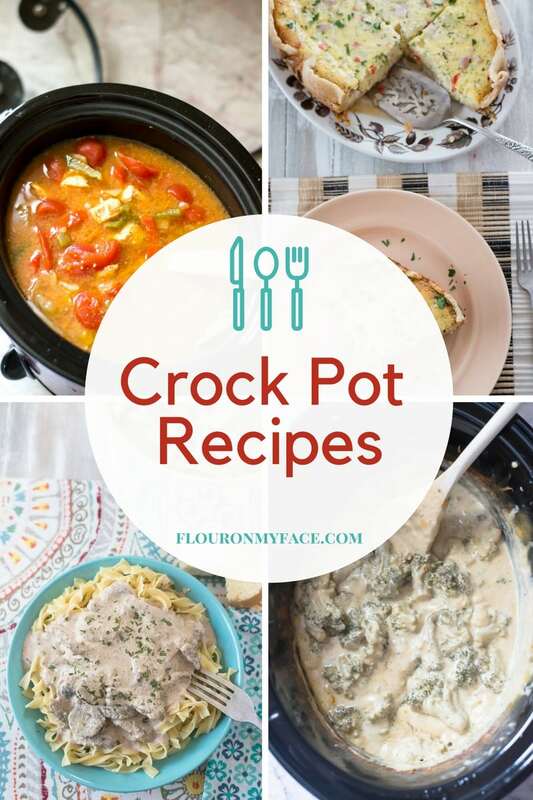 The crock pot is a wonderful appliance when it comes to making soup. 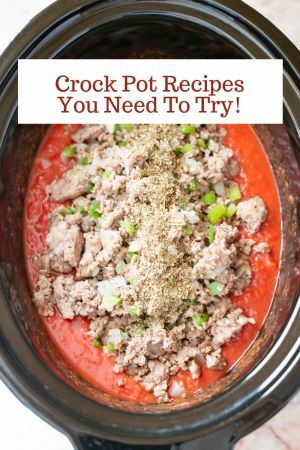 For most crock pot soup recipes, you can just add all the ingredients to the crock pot and let it simmer all day. This Crock Pot Broccoli Cheddar Soup recipe has a few more steps than your average crock pot soup recipe. You need to saute the onion in some butter and make a roux for the creamy base. Those steps only take a few minutes and add so much flavor to this Broccoli Cheddar soup recipe that it is worth the extra effort. What is a Roux you ask? A roux is a thickener made by cooking flour and butter together then adding a dairy product, like milk and cooking until the milk has thickened into a lovely sauce. 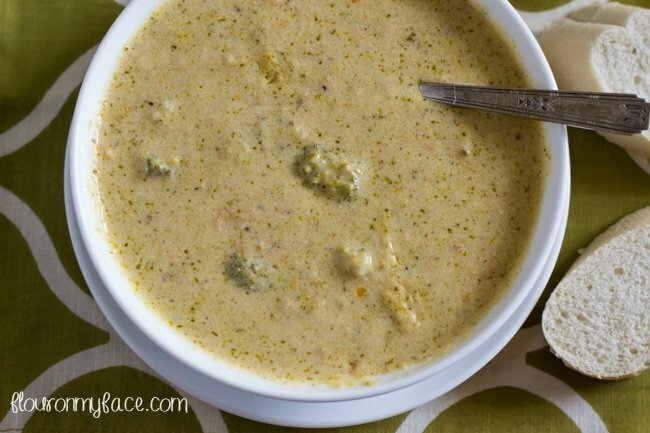 This sauce can be used in recipes like this Broccoli Cheddar soup. Normally when I need a thickener I reach for my trusty friend cornstarch. Cornstarch is a great thickener that never creates lumps as flour does. That is why I use it to thicken recipes like my Easy Crock Pot Pepper Steak or Crock Pot Chicken A la King recipe. But a roux does so much more than thicken a sauce or soup recipe. 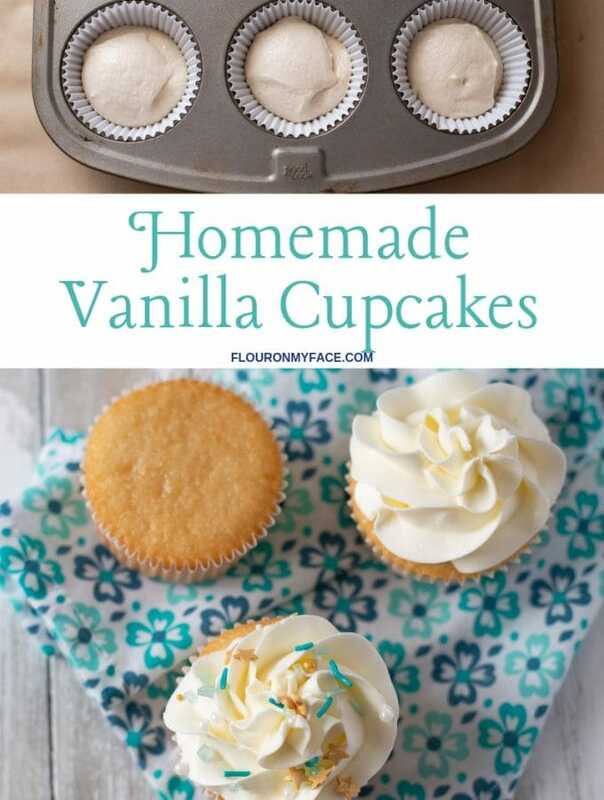 It adds a flavor you can not get when you use cornstarch or plain flour as a thickener. When the flour and butter are cooked over a medium heat until it browns slightly it develops a rich flavor. 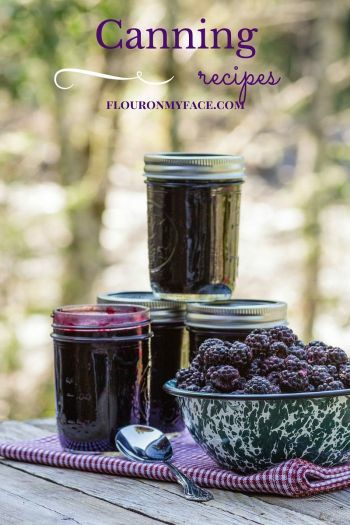 Best Flour On My Face recipe! My favorite Easy Homemade Fettuccine Alfredo recipe starts with a roux. If you haven’t checked out my Homemade Fettuccine Alfredo recipe yet you should. It is by far the most popular recipe on my site. Read through some of the comments and see how good this recipe is. Anyone who makes it raves about it. If you make it you will never buy jarred Alfredo sauce again. I promise you! Cut the broccoli and carrots and place in the crock pot with the chicken broth. Saute the onion, 2 tablespoons butter and pepper until the onion is translucent. Add the cooked onion to the crock pot. On medium heat melt the remaining butter in the pan you cooked the onions in and add the flour. Whisk the flour and butter together. Add the nutmeg and salt to the pan. Whisk for about three minutes until smooth and the mixture starts to turn a light golden color. Add the half and half to the pan with the flour constantly whisking. Cook on medium high until thickened, about 3 minutes. 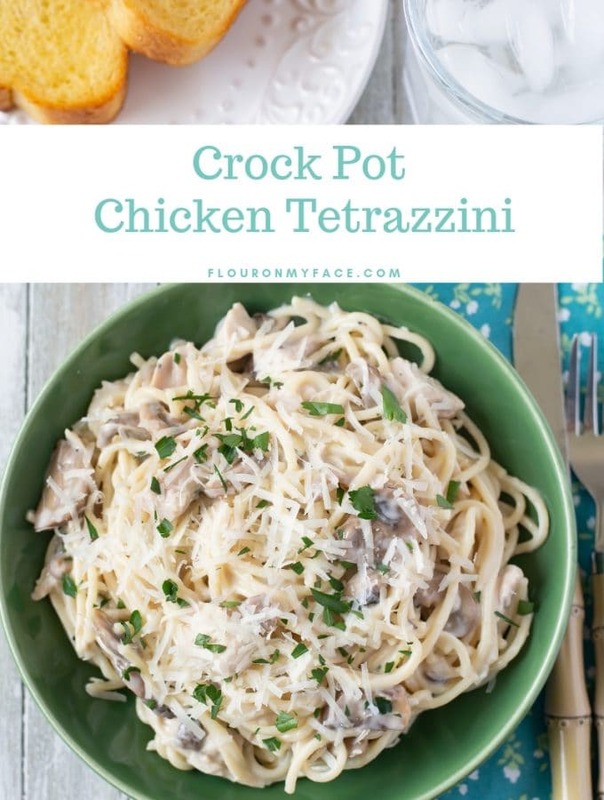 Pour the cream sauce into the crock pot. Add the shredded cheese to the crock pot. Place a triple layer of paper towels over the top of the crock pot then place the lid on. Reduce heat to low and cook for 3 hours. 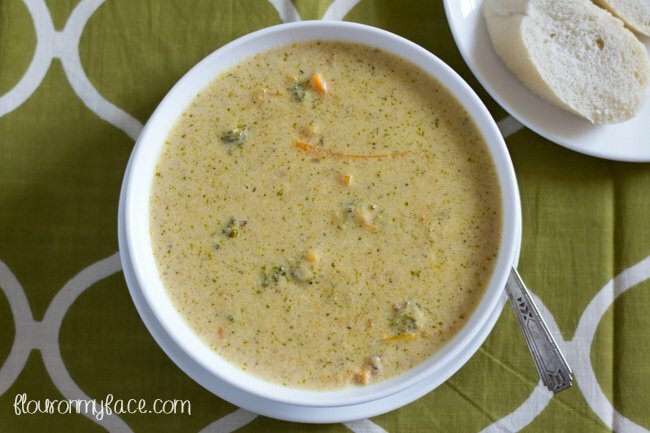 Crock Pot Broccoli Cheddar Soup recipe is rich, creamy and cheesy just like I like it. Make a big slow cooker full and freeze some for later. 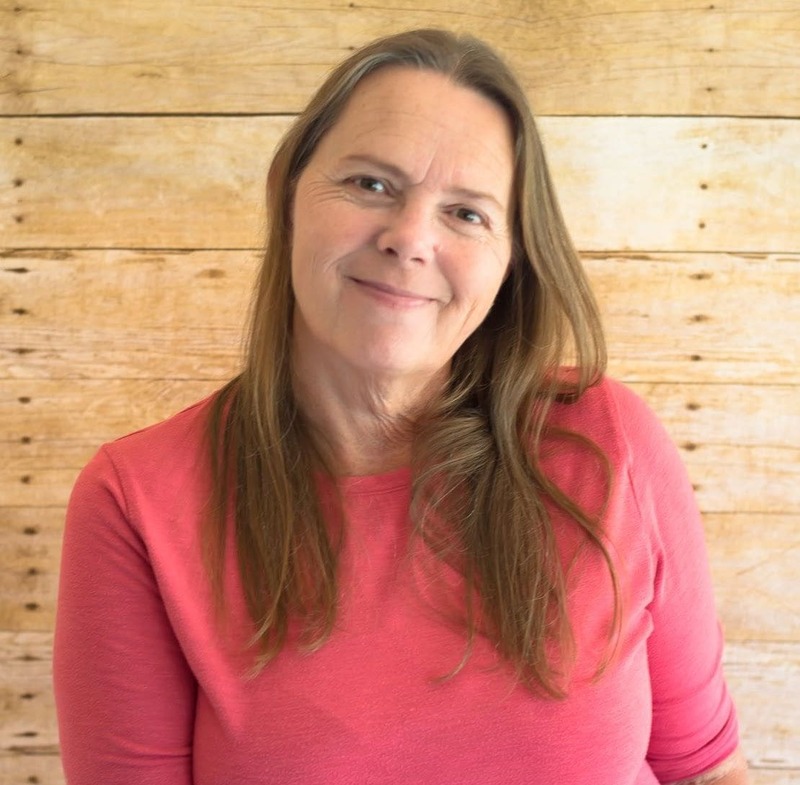 Check out my Crock Pot Soup recipes page. 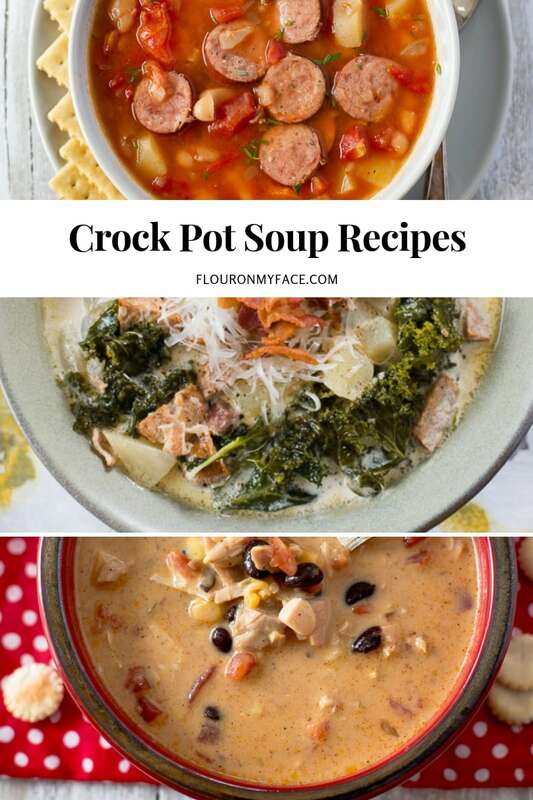 If you’re loving all the crock pot soup recipes, I share please share them with your friends on Facebook and Pinterest. 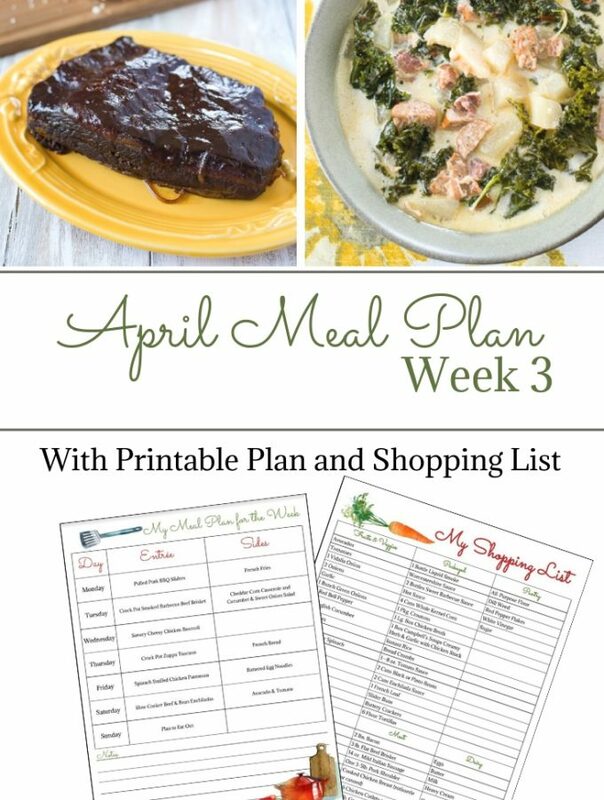 Head over to my Crock Pot Recipe page for all of my other easy crock pot recipes. This recipe did not work for me. I was left with curdled milk at the end of it. Very frustrating.. Sorry to hear that. It sounds like your crock pot might have been too hot or it cooked for too long. I’ve made this recipe a few times and each time it turned out absolutely perfect. Thank you for posting! Michelle I’m so happy you are enjoying the recipe. It is one of my favorites also.